Chosen as the host of the 15th Australian Transplant Games, Western Sydney is one of the most culturally diverse areas of Australia, a place teeming with heart and soul, and home to world-class sporting venues. Visiting town to compete in the Games in September? Here is a list of things to do while you’re here. You needn’t travel long distances for your next adventure. Penrith is only an hour from Sydney’s CBD and the perfect distance for a quick day-trip or weekend away. Whether you’re a family with young children looking for fun, a couple looking to explore somewhere new, an adrenaline junkie looking for a challenge or a group of friends wanting to enjoy the great outdoors; Penrith has something to offer the adventurer in everyone. Penrith Whitewater Stadium: The only man-made white-water course in the Southern Hemisphere was built to host the canoe and kayak slalom competitions in the Sydney 2000 Olympics. Offering guided and unguided rafting and kayaking, this is a great activity for friends, work colleagues or sporting groups. 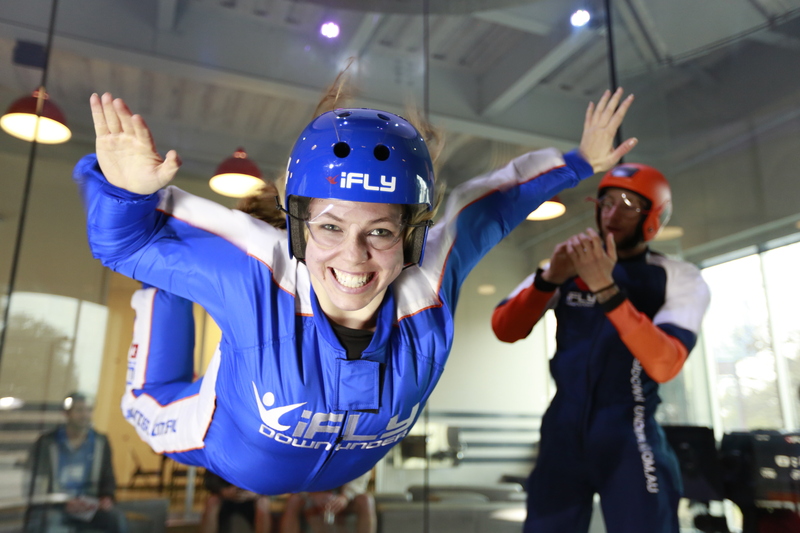 iFLY Indoor Skydiving: You don’t need to jump out of a plane to experience the thrill and excitement of skydiving. iFLY Indoor Skydiving is safe for kids, and a realistic skydiving experience for anyone wanting to challenge themselves. Jetpack Adventures: Flying as much as ten metres above the water is no longer the stuff of dreams. At Jetpack Adventures you can make like James Bond and fly across the water with a jetpack or flyboard. Sun Masamune (Sake Brewery): Penrith is home to the only sake brewery in Australia. Visitors can tour the factory, taste their sake and purchase something from the cellar door. Try out their beautiful skincare range which includes soaps and moisturises. The Nepean River: You can explore the Nepean River by boat, canoe or jet ski or by foot and observe the amazing wildlife along the way. You can also take a guided fishing tour or eco tour of the Nepean River with an experienced local guide. Museum of Fire: Explore the drama and danger of fire and firefighting, and learn about the history of fighting fires at the largest museum of its kind in Australia. The kids will be enthralled by the collection of firetrucks and can experience first-hand what it’s like to fight fires! Cables Wake Park: If you want to have fun and don’t mind getting wet, try cable skiing, wakeboarding and knee boarding at this world-class facility. Kids aged 6 and over will enjoy the new inflatable Aqua Park which has slides, trampolines and obstacles to climb. There’s also a playground and splash pad for toddlers. Penrith Regional Gallery & the Lewers Bequest: This regional gallery presents a dynamic mix of exhibitions, workshops and other programs. It features a café set in heritage gardens which serves breakfast, lunch and afternoon tea. Luddenham Raceway: Go-karting is a thrill the whole family can enjoy. Kids can race around the rookie track, while adults can put their pedal to the metal on the thrilling pro-circuit. The outdoor paintball facility is due to open in April and will feature four expansive and themed fields and state of the art paintball guns and equipment. Joan Sutherland Performing Arts Centre: This cultural centre remains the only place in the world to be named after Australia’s famous opera diva. Enjoy a drink at the bar or a meal at a nearby restaurant before taking your seat in the 660-seat concert hall or 380-seat drama theatre for a world-class performances in music, theatre and dance. Skypeak Adventures: If climbing, swinging, jumping, soaring or free-falling from great heights peaks your interest – then SkyPeak Adventures is the perfect place to hang out. The aerial playground has been custom built around an impressive centrepiece, a 28-metre tall Red River Gum tree and features five separate courses and up to 100 different challenges to explore at thrilling heights. Nepean Belle: Enjoy a relaxing Devonshire tea, lunch or dinner while cruising the Nepean River. The Nepean Belle is a romantic old-world style Paddlewheeler. Reflecting the grace and charm of yesteryear, the Belle’s interiors are beautifully panelled with stained timbers featuring cedar and teak. There is nothing quite like the nostalgia of the paddlewheels churning, the water lapping against the hulls, reliving the romance and excitement of the paddlewheel era. 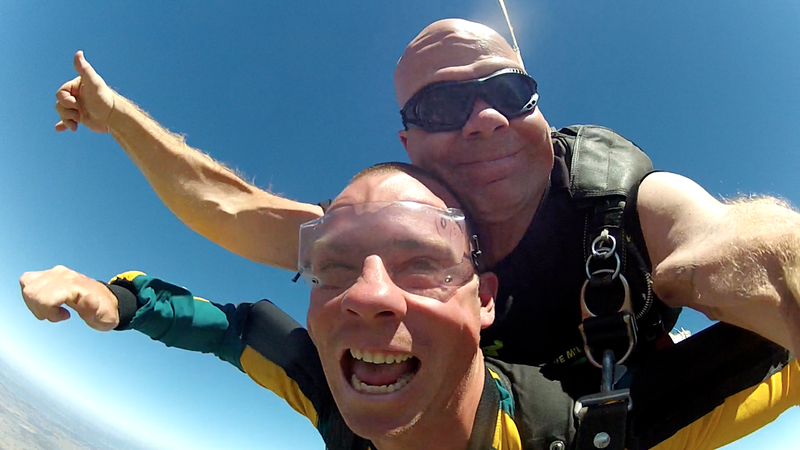 Sydney Tandem Skydive: Enjoy a breathtaking view of Penrith during freefall and yourflight under the canopy. A tandom skydive is an easy and safe way to experience your first skydive. Muru Mittigar Aboriginal Education Centre: Learn about the Indigenous heritage of Penrith through education, dreamtime stories and hands on cultural experiences. Aqua Golf : A great place to meet your friends and play Golf in Family. It’s fun and simple for all ages. Win a bonus card each time a target is hit and up to $100 cash for a hole-in-one!